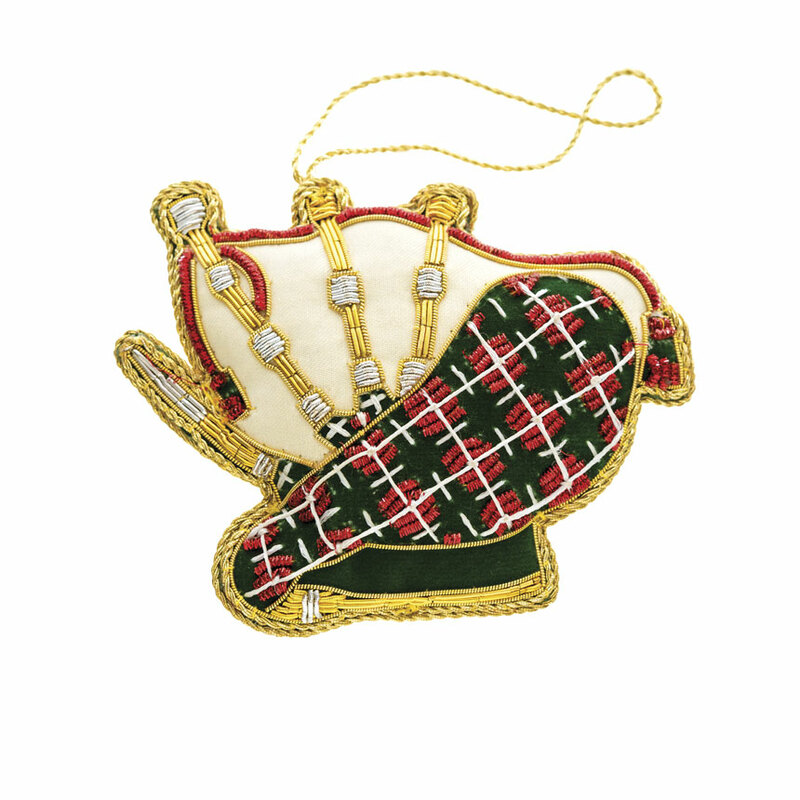 With plenty of gold braid and embroidery details, this Scottish piper will stand out on your tree. 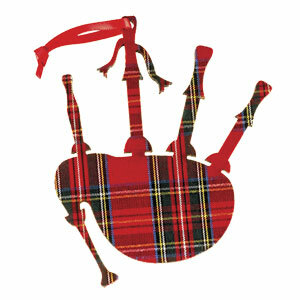 With a beaded tartan bag and silver mounts, this set of bagpipes has all the important details. The embroidered front is completely outlined with gold braid and red bugle beads create the tassel ties that connect the drones while the reverse side is solid ecru taffeta. The tartan air bag has green felt, red bugle beads and white embroidery threads to create the plaid. 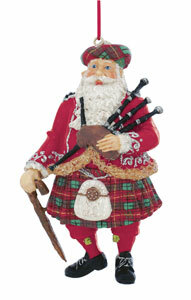 4" wide and 3.2" high with a gold cord for hanging on your tree. Imported. PLEASE NOTE - New delivery has grey felt between the drones, not the cream shown in photo.